If it is not working, please upload the Native Ad Display Addon to the “addons” folder in XYZ Admarket script. Now activate the “Native Ad Display” addon. Note: We can use native ad display for Text only and Text+Image. For the Text+Image format, please use the Text+Image ads addon also. In the Text+Image native ads, we can display the image in top or left of the text. Also we can setup the height and width of each ad in the native ad display. The options are given below. 1. Native ad header text – This is the header text of the native ad. Admin can use any text here. 2. 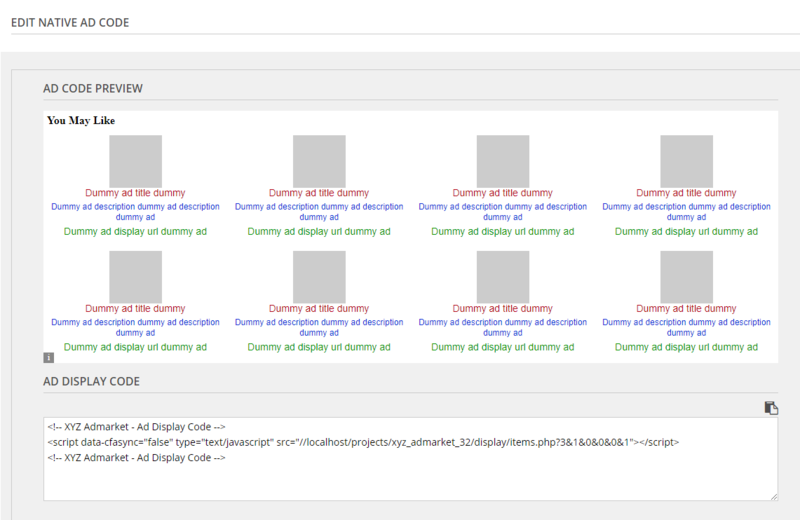 Padding of Native Ad Display – Admin can enter the padding of the display here. 3. Display description in Text Ad Display – If you want to display the description in text ads, please select this option. Oherwise it will not show the description in the text ad. 4. Display URL in Text Ad Display – Select this option to display the url in the text ads. 5. Display description in Text+Image Ad Display – We can display the description in text+image ad by selecting this option. 6. Display URL in Text+Image Ad Display – Select this option to display the url in the text+image ads. 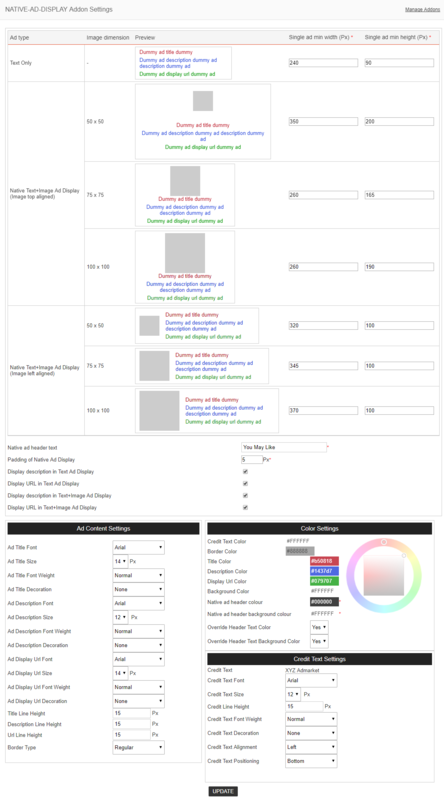 Admin can also setup the Ad content settings, color settings and credit text settings here. 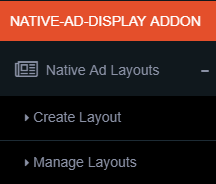 In the admin menu we can see the “Native Ad Layouts” section. Click the “Create Layout” link to create a new layout. 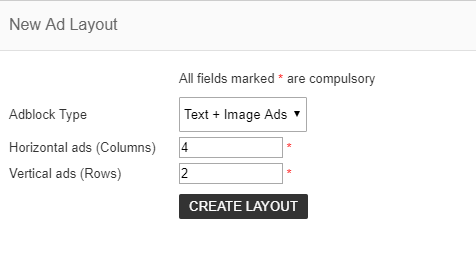 In the Adblock Type we can select Text only or Text+Image ads. Also we can set the number of horizontal ads (columns) and vertical ads(rows). In the “Manage Layouts” section we can see all the layouts. 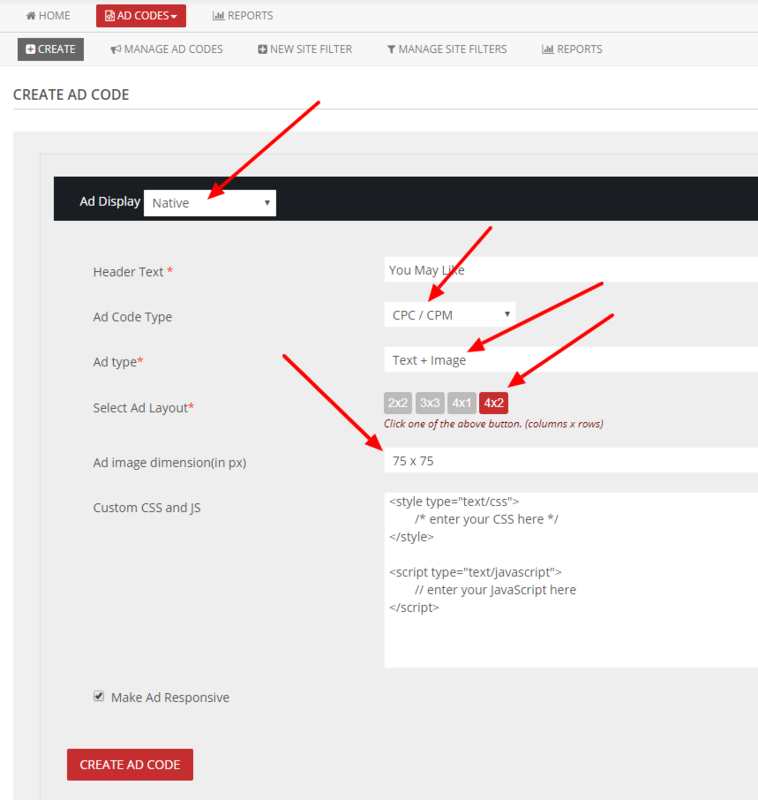 In the publisher section when creating the adcode, we can select the native ad. Now select Ad code type and Ad type. We have the ad types text only and text+image. Then select the Ad Layout and the Ad Image Dimension. If you have any custom css and js, you can enter it and click the “Create Ad Code”, button. Now you can see the ad display preview and the adcode. You can use the adcode in the webpage and the native ad will display there.